Four men have been arrested in Guernsey on fraud charges in connection with the collapse last year of Providence Global Ltd, a Guernsey-based, international affiliate of a Miami-based company that filed for bankruptcy protection in July, known as Providence Financial Investments. The four men haven’t been identified. In a statement, a spokesperson for Home Affairs in Guernsey, which includes the island’s law enforcement operations, said an investigation led by Guernsey’s Economic Crime Division into the collapse of the Providence investment fund, reportedly begun last October, had resulted “in the arrest of four male individuals on the 11th [of] May”. ‘The arrests were undertaken at four separate addresses in the island, in connection with suspected offences of fraud by abuse of position and in respect of the provision of false or misleading, or recklessly furnishing information relating to the protection of investors,” the spokesperson added. Guernsey’s Economic Crime Division is a joint Guernsey Police and Guernsey Border Agency unit. The Guernsey Home Affairs statement confirmed Jersey media reports. 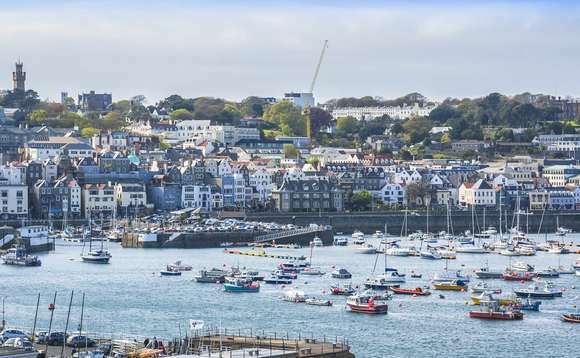 The case is of interest to many investors on Guernsey’s neighbouring island of Jersey, who lost money in one of Providence Global’s funds. As reported here last August, Providence Global was ordered wound up by a Guernsey court following an application by Guernsey’s regulator, the Guernsey Financial Services Commission, which said it brought the application under relevant Guernsey laws following the 9 August appointment of Deloitte as administrators of two other Guernsey-based Providence entities: Providence Investment Funds PCC Ltd (an investment fund, structured as a protected cell company, or PCC), and Providence Investment Management International Ltd (manager of the fund). Providence Global was an international business affiliated with but separate from the Miami-based Providence Financial Investments, sources familiar with the business said last year. In addition to Providence Investment Funds and Providence Investment Management International, Providence Global’s businesses included a Brazilian factoring company, Providence Fomento Mercantil, Investimentos e Participações Ltda into which the Providence fund had invested, according to the GFSC. Among its products were two mini-bonds, Providence Bonds plc and Providence Bonds II plc. It was reported last year that the two mini bonds, which were unregulated products sold to sophisticated investors, high-net-worth individuals and others in the non-retail investment market, hold the combined investments of around 800 UK individuals, who had invested an estimated £8.15m. The investigation which led to the arrest of the four unidentified men on 11 May is taking place alongside one being carried out by the Jersey Financial Services Commission, which is looking into a Providence-owned Jersey entity known as Lumiere Wealth, the local agent for the Providence Investment funds. Lumiere Wealth was ordered wound up by the Jersey authorities last October, and its founder and managing director, Christopher Paul Byrne, arrested.